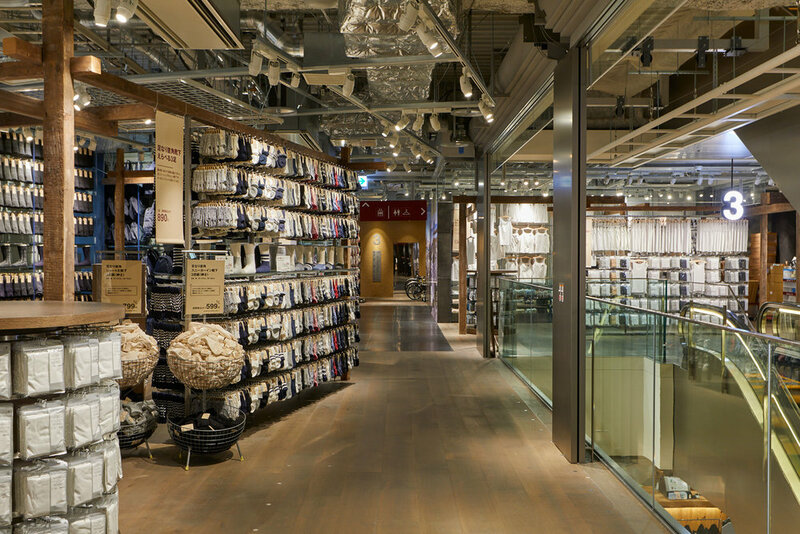 Ito is describing Japan’s first MUJI HOTEL, which opened its doors last week in Tokyo’s upmarket shopping district Ginza. 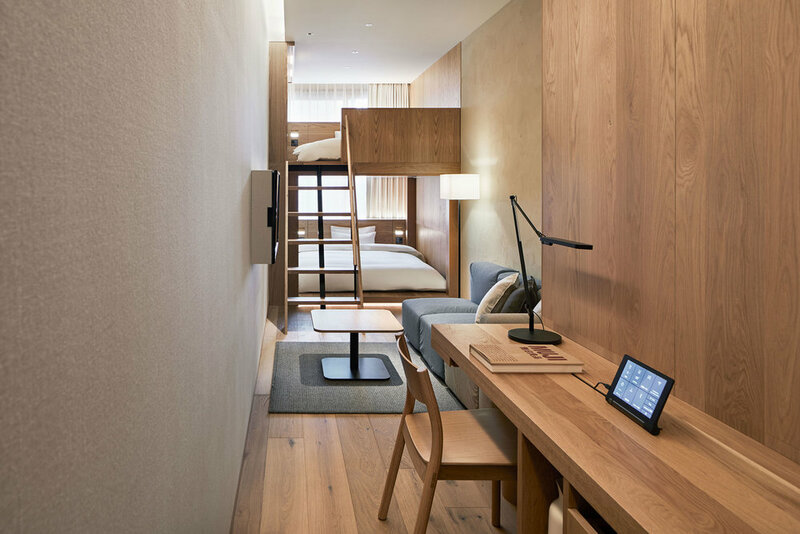 MUJI HOTEL GINZA – the third globally after Shenzhen and Beijing opened last year – is a major new venture by the Japanese company famed for its no-brand philosophy, clean-lined minimalism and unfussy contemporary design. 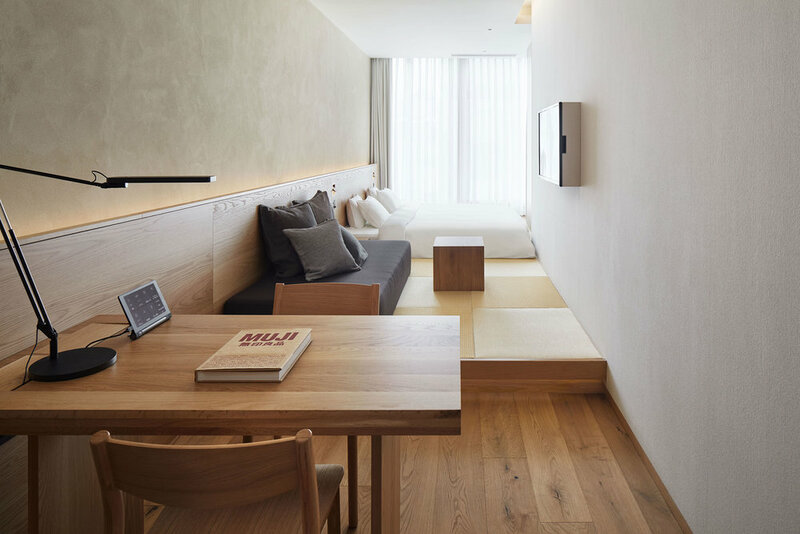 All three MUJI hotels share the concepts ‘anti-gorgeous’ and ‘anti-cheap’ – which perhaps sound a little better in Japanese than English, but are best embodied in the low-key simplicity of the hotel interiors. 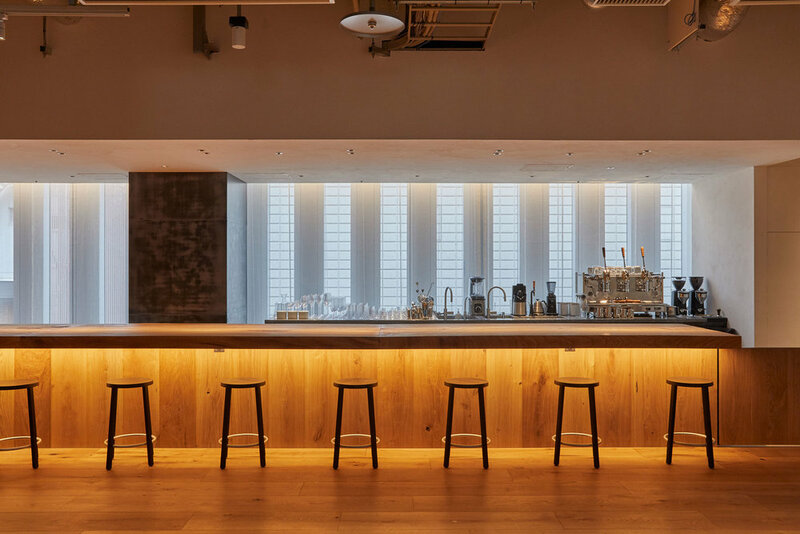 The Tokyo hotel – designed and managed by UDS (also behind CLASKA hotel, among others) – spans the top five floors of a new 10-storey building, and features 79 guestrooms, WA restaurant serving regional cuisine and the world’s largest MUJI flagship store just underneath it. A glance around the seventh-floor guestroom where we had our interview confirms this: around us are warm oak walls, light linen curtains, soft modern lighting and a textured sheep’s wool carpet that I can’t resist touching. ‘I try to use materials that people want to touch,’ smiles Ito. Other design touches include the black stone wall behind the front desk, made from stones salvaged from old Tokyo train lines, natural plasterwork on the sixth floor by artisan Naoki Kusumi, who uses a rammed earth technique called hanchiku, and a patchwork expanse of steel panels in the restaurant, which came from an abandoned ship that Ito found in Hiroshima. The hotel is, of course, heaven for shoppers – the guestrooms are packed with MUJI products, many of which can be bought just downstairs: from the fluffy white towels, sheets, pyjamas, beds and sofas to the armada of discretely-designed tech such as aroma diffusers, kettles and wall-mounted Bluetooth speakers. The multi-level store itself not only sells an encyclopaedic range of MUJI products (from clothing and furniture to bicycles), it also has a MUJI Diner restaurant plus a juice stand, bakery, fresh vegetable market and tea blending service. Meanwhile, on the sixth floor – the same level as the hotel lobby – is ATELIER MUJI, home to two design galleries that will host exhibitions, workshops and talks (textile designer Reiko Sudo is among the first speakers). There is also a long, camphor wood Salon bar, serving up coffees and cocktails, plus a ‘chair menu’ with a selection of 21 seats, ranging from Eames to Mart Stam, for guests to choose from.